WHY: Roger Vivier Accessories up to 70% off! Consider this week’s roundup of Don’t Miss Sample Sales a veritable variety show, stylish shoppers. We’ve got the Friends and Family sale at Joie, which means 25% off everything both in stores and online, gorgeous finds at the much anticipated private Roger Vivier Sample Sale, barware necessities – and more – at Baccarat, and up to 75% off the “gotta have ’em” goods at James Perse. You’ll get the friends and family discount at the Joie sale, which runs all day Monday the 21st, which amounts to 25% off your total shopping cart. And bonus: this one runs both in stores and online at Joie.com. Translation: you technically don’t even have to get dressed to take advantage of this one. Or you can shop on your lunch hour via your phone (hopefully dressed in this scenario). Use the code “JOIEFRIENDS” at checkout when you shop online. WHERE: 429 West 14th Street, New York, NY 10014. 212-897-1878. The Roger Vivier Sample Sale is finally back, and people are getting excited about it, so plan your days accordingly if you want to make it work. We suggest giving yourself ample time, and also consider filling up on food fuel to ensure you feel your best while sifting through the racks. Call 917-562-2140 for all the deets, and good luck nabbing a gorgeous bag, pair of shoes, and/or accessories. WHERE: Soiffer Haskin. 317 West 33rd Street, Just west of 8th Avenue, New York. (718) 747-1656, M-F (9-6). Receive up to a whopping 75% off at the upcoming James Perse Sample Sale. The event starts on Tuesday, March 22 and runs through Sunday, giving you plenty of time to make this one work with your busy schedule. The sale will feature clothing for both men and women, footwear, accessories, and even home décor. WHERE: 150 Greene Street, between W Houston and Prince Streets, New York, NY 10012. 212-725-5400. If you’ve got any kind of hosting plans in the immediate or semi-near future, hustle over to the Baccarat Sample Sale this week. It runs Wednesday and Thursday at the Baccarat showroom, and features barware, stemware, vases, and other decorative details for up to 70% off the retail price. Think refined, elegant and timeless pieces that’ll impress guests for a long time to come. WHERE: Baccarat Showroom. D&D Building, 979 E. Third Avenue, 10th Floor, New York, NY 10022. WHY: The highly anticipated sample sale is back! Roger Vivier cordially invites you to a private sale of women’s shoes, handbags and accessories. All cell phones and handbags must be checked in at coat-check. 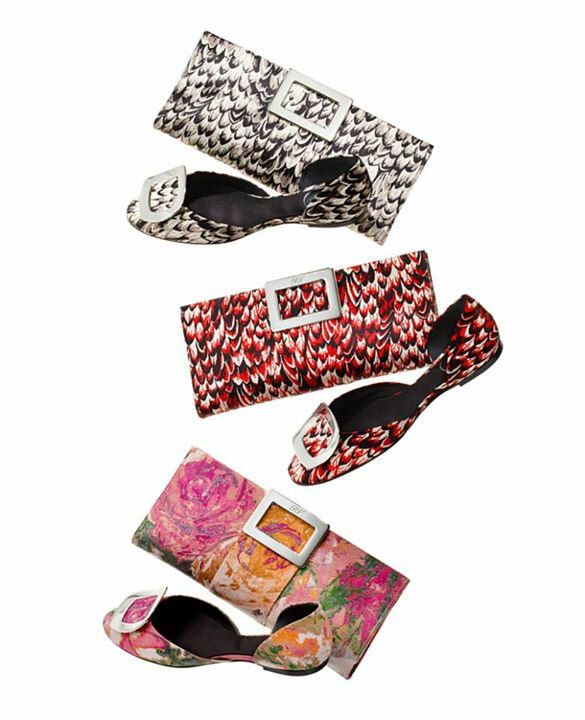 WHY: View the exclusive chips collection from Roger Vivier at Bergdorf Goodman. For any inquiries, please call 212 872 8940.